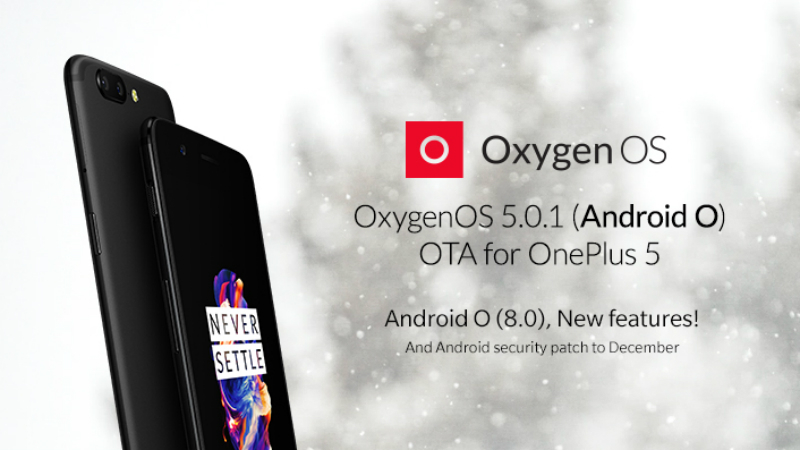 Within days of the OxygenOS 5.0 update being suspended due to a bug, OnePlus is now rolling out the OxygenOS 5.0.1 update to the OnePlus 5. A 'staged rollout' of the OxygenOS 5.0.1 update is in progress. The changelog remains similar to the previous version, apart from a couple of additions such as bug fixes for third party camera apps and fixes for network issues for European operators. The update will not be compatible with handsets that have an unlocked bootloader; users will have to re-lock and attempt the update again. In an update to the original forum post, a OnePlus staff member has mentioned that the OnePlus 5 is now receiving the latest Android 8.0 Oreo-based OxygenOS 5.0.1 update via OTA. Earlier this month, the OxygenOS 5.0 rollout for the smartphone was cancelled due to a bug on the build. The Android 8.0-based OxygenOS 5.0 update had followed two beta releases for the OnePlus 5. 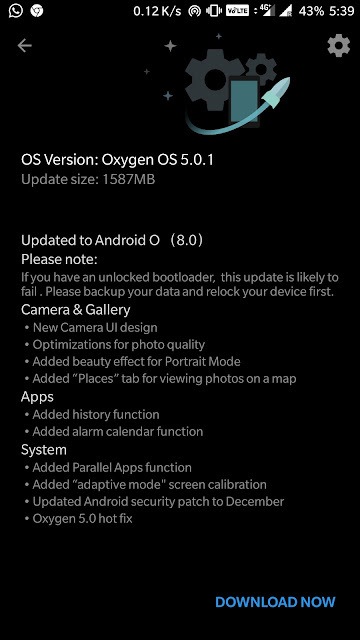 Apart from the above mentioned bug fixes, OxygenOS 5.0.1 will include features like a new Launcher with optimisations for Shelf and the ability to upload photos through Shot on OnePlus. The update also brings a new Camera UI design, along with optimisations for photo quality and an additional beauty effect for Portrait Mode. Additionally, Face Unlock support is now available on the OnePlus 5. OxygenOS 5.0.1 includes other system features such as Parallel Apps, new Quick Settings design, optimisations for Wi-Fi, and the updated Android December security patch. The OnePlus 3 and OnePlus 3T have already received the latest OxygenOS 5.0.1 update last week. It adds features like a new Wi-Fi hotspot manager, an 'adaptive mode' screen calibration, and other bug fixes and improvements.